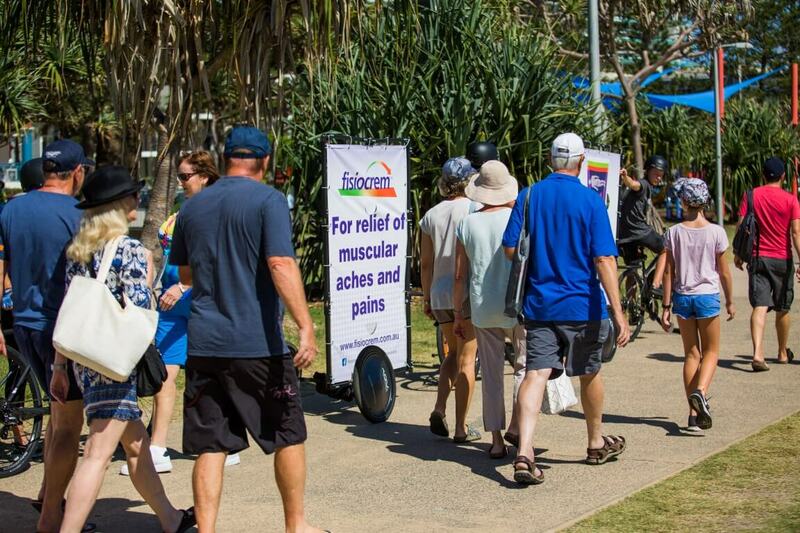 fisiocrem Australia, a topical cream for muscular aches and pains, was seeking a way to generate mass exposure at the Commonwealth Games on the Gold Coast. 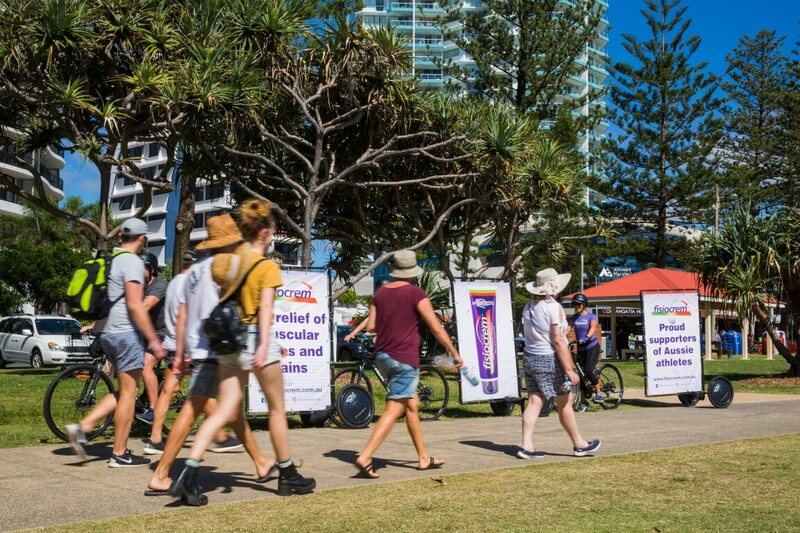 Our solution was to take their messaging directly into the crowd with a unique bike billboard campaign including branded apparel and brand ambassadors. By taking branded bikes into the crowds at the Commonwealth Games, fisiocrem was able to hit its target market and gain interaction with the public. The bikes stood out in the crowd, turning heads of sports fans heading into the Games. Onlookers were asking questions and told our ambassadors about how much they already love the product. The success of this campaign demonstrated the importance of tailoring your marketing to best address your target market in a unique way. Find out how we can make you the talk of the crowd. Get in touch today!